Twitter is currently broken, it’s stopped sending out updates. 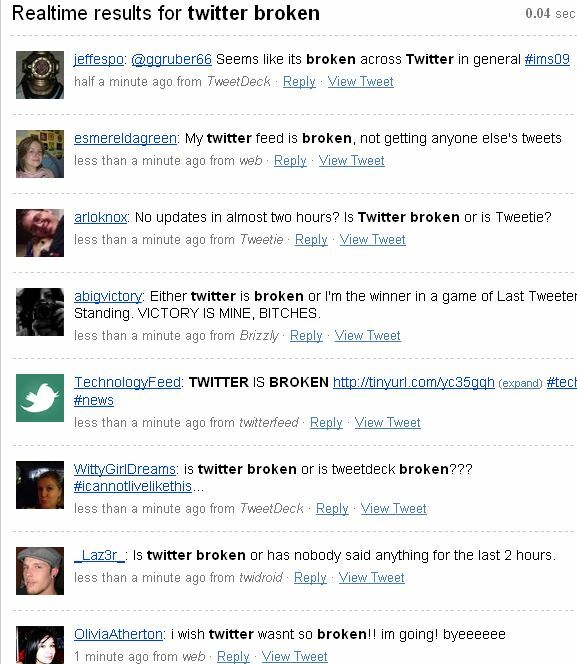 But the search is still working, so you can see that everyone is still using Twitter to tweet that it’s broken! Not only is search still working, but anything that’s based on the firehose is working. I’m reading the subset of Twitter I have on FriendFeed.